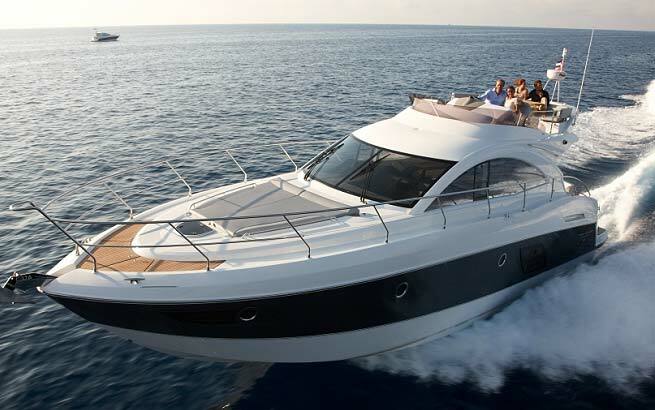 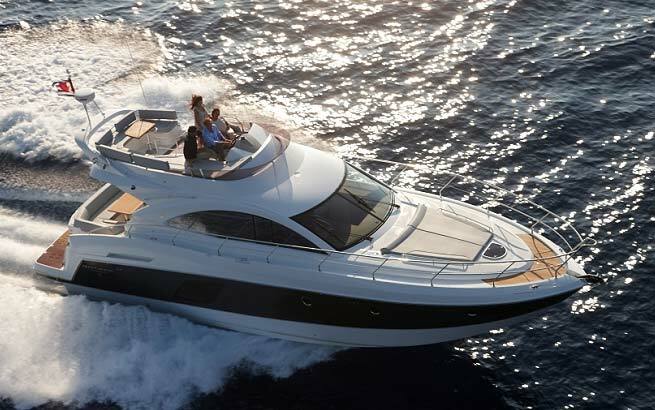 Express Cruiser with a unique concept, the Gran Turismo 49 Fly combines the precision and pleasure of powerful sports driving, similar to that of a sports car, and sharing unique moments with friends and family in a luxurious and terribly glamorous atmosphere! 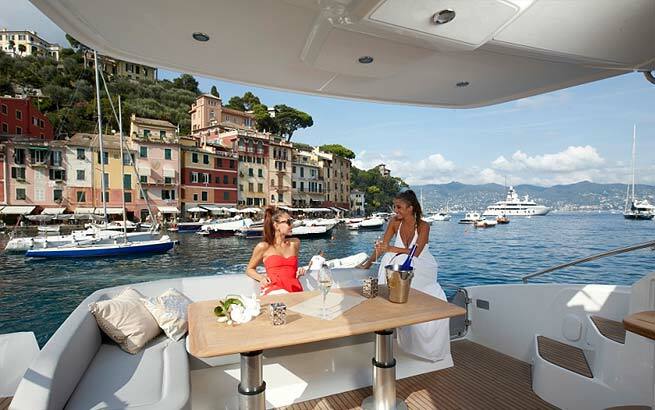 Its "sea view terrace" is not reserved for the driver. 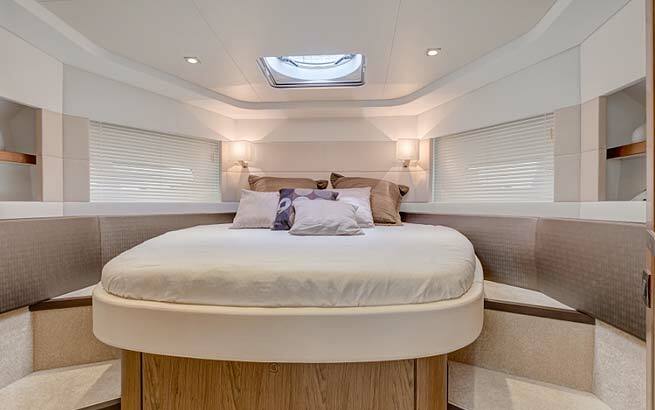 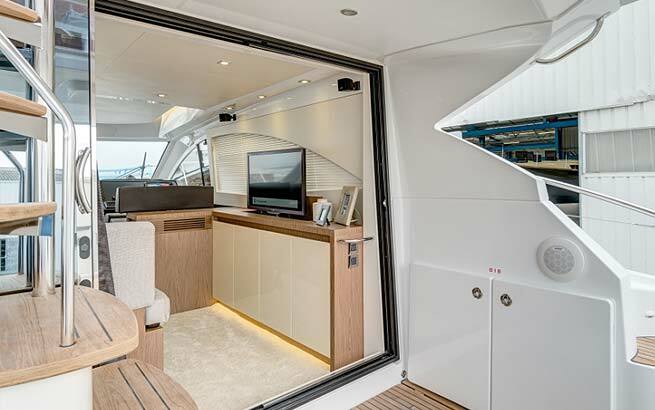 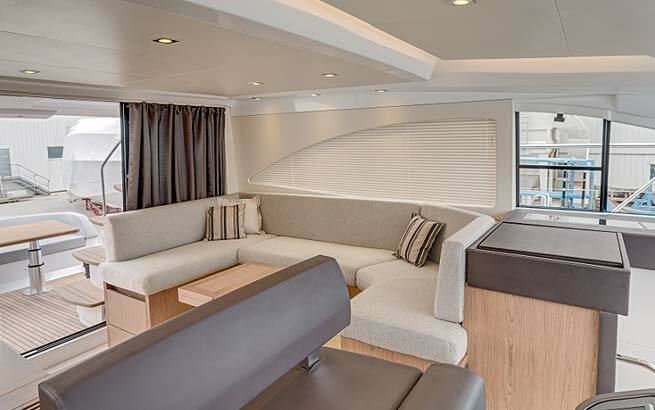 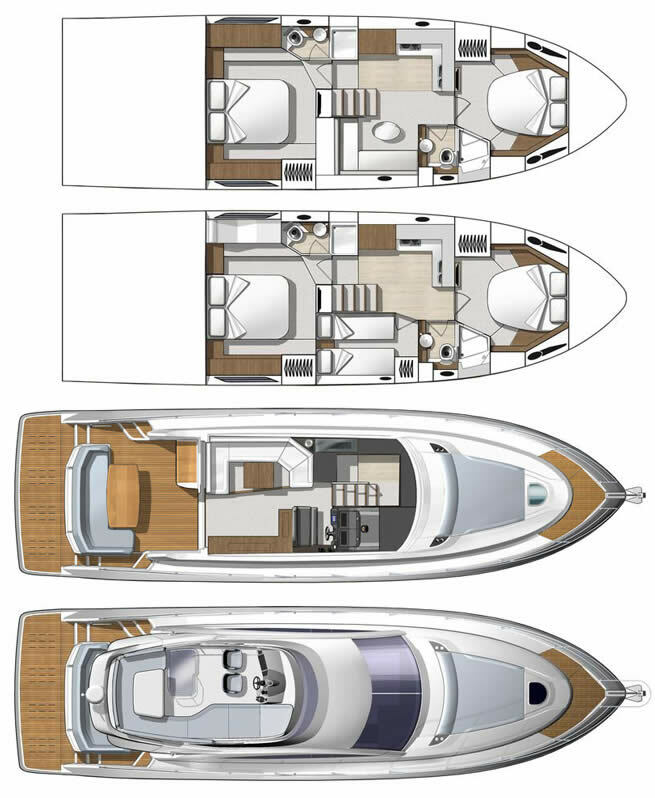 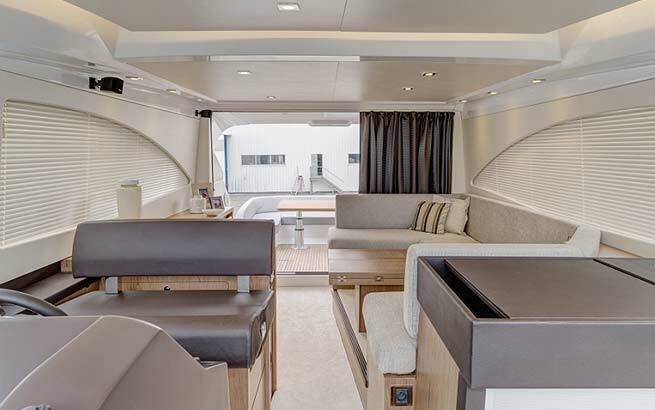 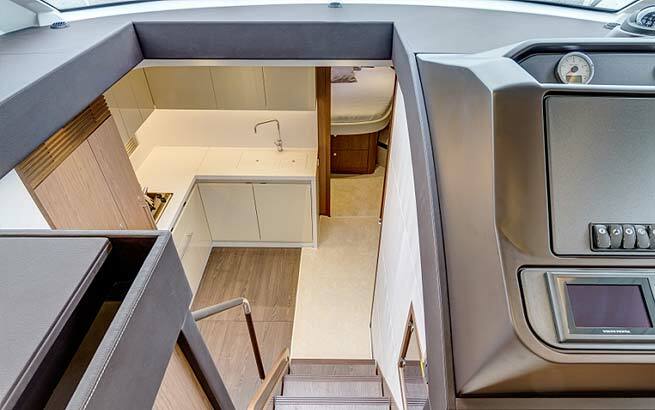 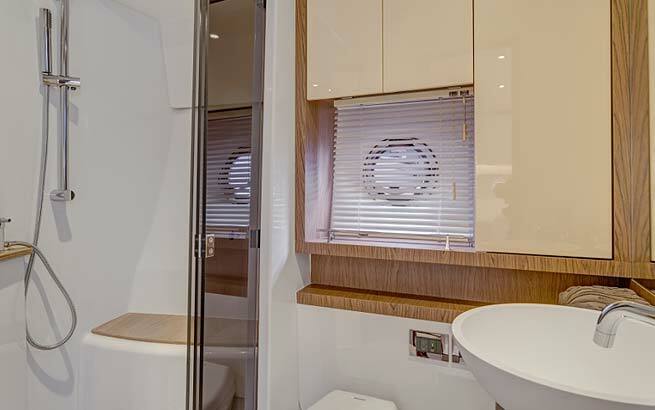 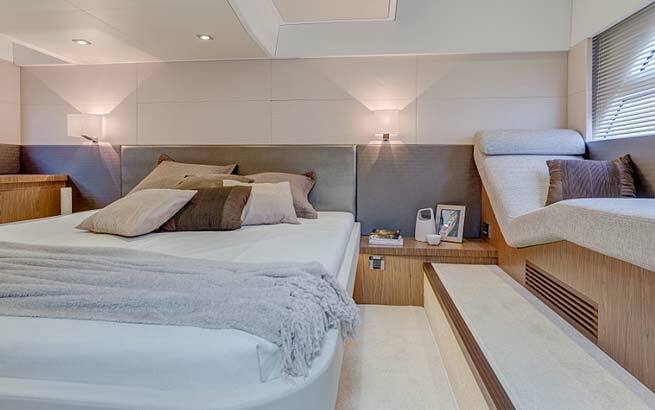 Accessed by an elegant spiral staircase, the flybridge is now a real sea saloon with a long seat surrounding a large table. 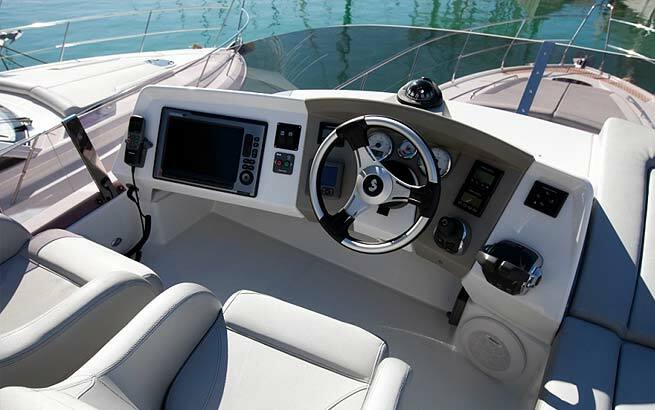 The driving station is made up of the control panel and two bucket seats. 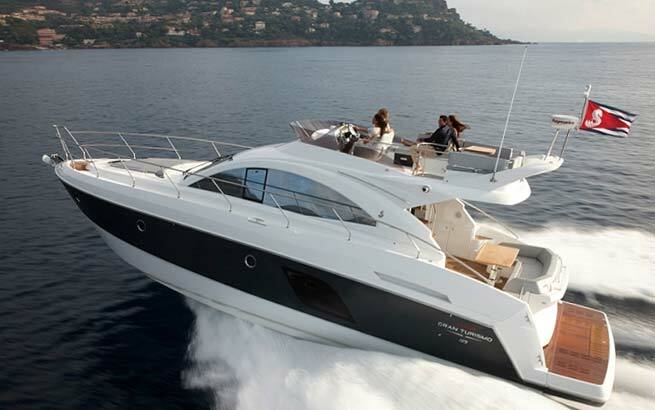 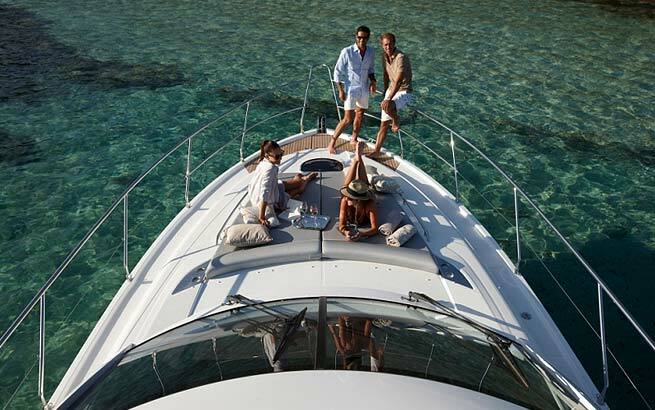 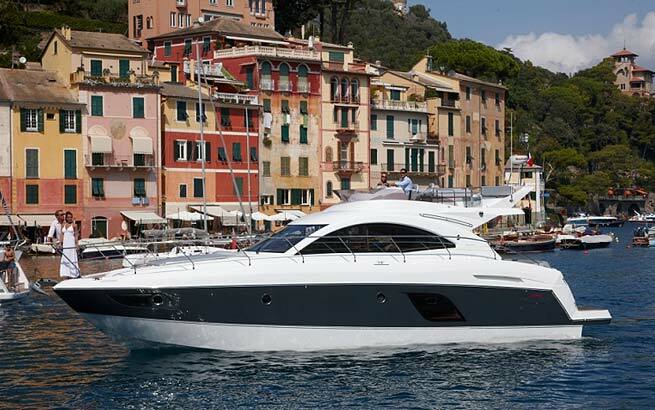 2012: nominated for the „European Powerboat of the Year Award 2012“ (EPY 2012).